What is CCNA (Cisco Certified Network Associate) Certification? How to prepare for CCNA Exam? Which book to refer for CCNA? Cisco certified Network Associate (CCNA) is an IT course offered by Cisco Systems Inc. CCNA course certification is the initial level or the associate level Cisco certification which is followed by a professional level certification (CCNP) and an expert level certification (CCIE). After completing your CCNA certification you will have the skills to operate, troubleshoot, configure and manage medium level Cisco networks of an enterprise. Hope now you have a clear idea about what is CCNA certification? CCNA- an associate level of certification can be done in nine different tracks. CCNA R&S: CCNA also known as CCNA R&S covers the basics of Routing and Switching technologies which includes topics like IP addressing schemes, routing basics, switching and Wan Technologies, etc. 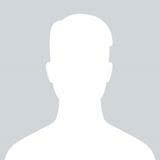 as all these topics are essential for creating a strong niche for further courses of Networking. After completion of the CCNA certification one can easily install, configure and troubleshoot Cisco Routers and switches for small Cisco networks. After doing CCNA training or certification, candidate can further do CCNP and CCIE to enhance the networking skills and boost his/her career. CCNA Security: CCNA Security an associate level certification introduced by Cisco Systems covers the basic topics of Network Security. CCNA Security certification allows an individual to cultivate skills which allow him/her to create a secure network, detect various threats and vulnerabilities which arise in networks, and take respective measures to alleviate them. The topics which fall under CCNA Security include installation, troubleshooting and monitoring network devices to maintain integrity, maintain the confidentiality and availability of data and devices, and other proficient technologies used in security structures. CCNA Security is foundation course for CCNP Security and CCIE Security. CCNA Voice: An associate level certification in VoIP Technologies. The CCNA Voice certification calls in for skills and expertise required by an individual while handling a Cisco Voice network. CCNA Voice certification confirms that the required skill set for specialized job roles in voice technologies such as voice technologies administrator, voice engineer, and voice manager. The technologies which are included in VoIP are IP PBX, IP telephony, handset, call control, and voicemail solutions. One can go for CCNP Voice and CCIE Collaboration (CCIE Voice formally) after doing CCNA Voice course. CCNA Data Centre: Cisco certified Network Associate Data Center (also known as CCNA DC) is a job oriented program in which training is given in a manner which involves utilizing major share of education to increase the value of one’s data center network. This certification makes candidate eligible to design data center and manage equipment installation/maintenance. CCNA DC should be preferred after 3-4 years of experience only. CCNA Service Provider: Cisco Certified Network Associate Service Provider (CCNA SP) certification has been designed to allow service provider network engineers, technicians and designers to focus more on the latest networking technologies and trends in the Service Provider Industry. After completion of this certification one will be able to deploy, maintain and improve carrier-grade network infrastructures. CCNA Service Provider Operations: CCNA Service Provider Operations certification provides basic level knowledge in incident (event), fault, configuration and performance management procedure along with NMS tools and protocols. CCNA Video: Cisco Certified Network Associate Video. This certification allows a candidate to be skilled in video-over-IP networked video environment. This certification makes a candidate able to deploy video end-points, set-up new users and operate network video solutions. An advantage for Voice and networking professionals with CCNA Voice certification is that they can benefit from the CCNA Video training and take their career further into video networking. 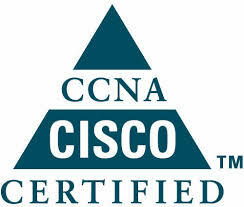 CCNA Wireless: Cisco Certified Network Associate Wireless. It is a beginner level certification in wireless offering skills which are required to configure, implement and support wireless LANs. This certification prepares a candidate for configuring, implementing and troubleshooting Cisco WLANs. CCNA Design: Cisco Certified Network Associate Design. 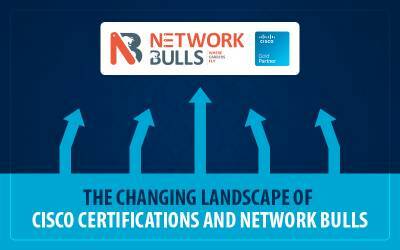 This certification allows a Candidate to be able to enable efficient network environments. Network design fundamentals are introduced in this certification. What is the scope of CCNA for Cisco aspirants? Many aspirants stay in a dilemma about the job prospects CCNA certification offers post its completion. They keep on oscillating between the availability of CCNA jobs in the IT Sector and the salary packages companies’ offer for the same. The answer to this dilemma is that CCNA as a certification offers varied job opportunities giving an edge to aspirants over the other non CCNA candidates. The scope of CCNA certification is very wide in the IT industry. In fact, non-certified CCNA aspirants are offered quite good opportunities. The scope of Cisco CCNA certification is very vast in India but you need have hands-on networking skills for reaping the opportunities. Once you become a CCNA certified individual, your chances of getting a job as compared to non CCNA aspirant increases significantly i.e. one definitely gets a job faster that too better payable. There are situations where one might not get a suitable/satisfying job after completing his/her CCNA Certification but it doesn’t mean that one will never get a better opportunity ever. One should keep on looking for a job until and unless one is satisfied with the job role and the relative salary offered. However this usually is not a case as Cisco certifications guarantees a well-paying job if the individual is well versed with the track’s techniques. CCNA also stipulates numerous growth (professional) opportunities as companies await skilled Cisco professionals. Proverbs like Success and growth come automatically post completion of the CCNA certification. But at the same time equivalent efforts and hard work is required on the candidate’s part to make his/her value in the Networking Industry. One of the major advantages of doing a CCNA certification is the increased knowledge and understanding one acquires about the relative course of study i.e. one gets to know about the ins and outs of the technical advancements of the specified course. Experts in the industry always recommend aspirants to go for higher level certifications after CCNA i.e. CCNP or CCIE. As CCNP certification covers in-depth knowledge of Routing and Switching technologies which are not covered fully in CCNA Certification. 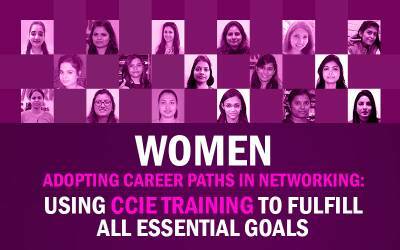 Further after completing CCNP, experts suggest to go for CCIE Certification as it is the most demanded and prestigious certifications of all. The scope of CCNP and CCIE certification is much vast in comparison to the scope of CCNA certification. It has a separate module for routing, switching, and troubleshooting. One should always join an institute which provides 24x7 lab facility where practicals are done on real Cisco routers and switches to gain complete knowledge relative to a track. Complete knowledge and expert skills will definitely get one a job better and faster than the non Cisco certified individuals. Hence, the scope of Cisco certifications is beyond comparison i.e. one will surely taste victory in his/her professional life. In order to achieve the CCNA R&S Certification offered by Cisco candidate needs to clear the online certification exam conducted at pearson vue’s testing centers. To achieve the CCNA certification candidate must clear the 200-120 CCNA composite exam or give the same exam in two parts i.e. ICND1 and ICND2. 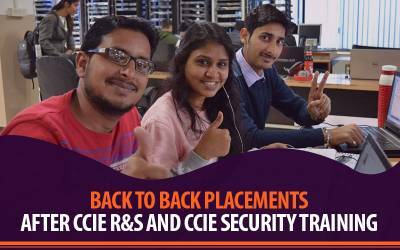 After clearing either CCNA composite exam or both the ICND1 and ICND2 exams, aspirants will become CCNA R&S certified on the very day itself. The CCNA R&S certification remains valid for 3 years from the day of clearing the CCNA R&S Online exam. One has to recertify his/her certification before the certification expires by giving any professional level (CCNP Level) or higher level certification exam (CCIE Level) or by giving the same CCNA Exam for a different track. While preparing for the CCNA R&S online examination one should always prefer studying and practicing on real devices rather than cramming scenarios on simulators and dumps which are readily available on the internet these days. Constant practice is required to achieve good results which cannot be obtained by mugging up dumps and practical scenarios. Self-study also plays a major role and the best book recommended by experts for self-studying is Todd Lammle’s “CCNA Routing & Switching Study Guide”. Real Cisco devices also play a major role in polishing of the practical skills which includes Cisco’s routers of 2611xm, 1841 or higher series except the 2500 series. Cisco switches of 2950, 2960 and 3550 series are used while preparing for the CCNA R&S online examination. Download PDF What is CCNA (Cisco Certified Network Associate) Certification? You need to register for CCNA course exam online and schedule the examination. The CCNA course fee is USD 325 for Routing and switching track. CCNA exam fee for advanced technologies like Security is USD 300 while each module of CCNA Data Center costs USD 165. Old CCNA Logo After few years of its beginning the appearance of logo was changed, which further kept on changing till recent times. If I do ICND1 exam and clear it, will I become CCNA certified? Hello I am from Bangalore and want to do CCNA certification course. 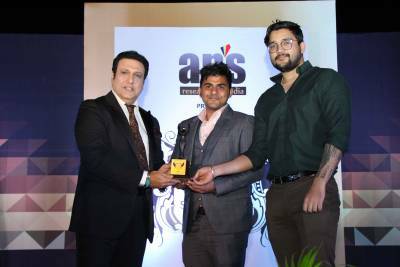 Please recommend me best institute for CCNA in Delhi or Bangalore. What is the difference in CCNA R&S, CCNA Security and CCNA Voice? What is scope and value of Cisco certifications like CCNA, CCNP and CCIE for fresher B.tech, BCA engineering students? My hometown is in Dubai and I am interested in Cisco certification bootcamp courses. What is scope of CCNA and CCNP Certifications in Dubai and USA? Is CCNA equivalent to CCNA Security? What is the basic difference between these two courses? Does CCNA cover all types of CCNA? What is CCNA and scope of this certification? I am confused between CCNA, PHP and Java certifications? Which course should I do? I am from Nigeria and I want to do CCNA bootcamp training in India. How to get Visa from Nigeria? I want to become a Network Engineer and do job in India after my graduation. Which is best course for me? How much salary package will I get? How to become a Cisco certified CCNA engineer? Also where will I get a job after doing CCNA? What about jobs after doing CCNA certification courses in Nigeria? I heard you have students from Nigeria, USA, Dubai, UK, Australia, France, Belgium, Angola and Algeria as well, is that true? I am from pune and pursuing a ccna course, how can clear a certification online exam. hiiii... i am completed ccna certification in routing and switching , Is it possible to doing ccnp security? i am confused in CCNA S&R, voice, data center and security. what i'm doing???? and tell me the scope in these???? i can directly learn ccna security, its possible to do.. I am complite a b.com , can i do the ccna ? Kya me CCNA kar sakta hu? Hi i have completed BCA and after 1 and half year i will move to new zealand. Which ccna(r&s,security, voice ,data center etc) course should i do and what will be the salary as fresher in nz? When i can do ccnp course after ccna?